본 연구는 중국 베이징 시민들을 대상으로 다음의 3가지 연구문제를 설정하였다. 첫째, 중국 소비자의 광고 매체별 접촉률은 어떠한가? 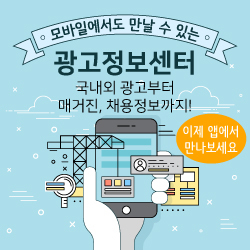 성, 연령, 교통수단, (하루) 시간대에 따라 광고 매체별 접촉률은 어떠한 차이를 보이는가? 둘째, 중국 소비자의 광고매체별 관심도, 호감도, 구매의도는 어떻게 나타나는가? 연령별, 성별에 따른 차이는 어떠한가? 셋째, 대표적인 버스 정류장 광고의 3가지 유형(네온 다매체 화면 광고，기둥식 네온 광고，입체적 상품 이미지 정류장 광고)에 대한 제품 인지도, 환경미화도, 구매의도는 어떠한가? 연령별, 성별에 따른 차이는 어떠한가? 이에 대한 연구 결과를 요약하면 다음과 같다. 첫째, 버스 정류장 광고 접촉률은 휴대폰, 인터넷, TV에 이어 네 번째로 나타났으며, 옥외광고 매체 중에서는 가장 접촉률이 높은 것으로 나타났다. 둘째, 버스 정류장 광고의 세부 유형인 네온 다매체 화면 광고, 기둥식 네온 광고, 입체적 상품 이미지 정류장 광고 모두 제품 대한 인지도, 환경미화도 그리고 구매의도에 있어 중간점(5점 만점에 2.5점) 이상의 평가를 보여주고 있다. 대체적으로 남성보다 여성 응답자들이 더 높은 점수를 보여주었다. 셋째, 연령별로 살펴보면 먼저 20대의 경우 기둥식 네온 광고에 대한 구매의도가 중간점보다 낮게 나타난 것을 제외하고는 세 가지 유형의 광고 대한 인지도, 환경미화도와 구매의도에 대한 점수는 모두 중간점 이상이었다. 다음으로 40∼49세 연령대가 입체적 상품 이미지로 홍보하는 정류장 광고에 대한 인지도와 환경미화도에 대한 태도는 다른 연령층에 비해 높았지만, 구매의도는 다른 연령층에 비해 낮은 것으로 나타났다. 이밖에 모든 연령층은 세 가지 유형의 광고에 대한 인지도, 환경미화도, 그리고 구매의도에 대한 점수는 모두 다 3.0점을 초과했다. 이러한 결과를 종합해볼 때 버스 정류장 광고의 세 가지 유형에 대한 태도 및 효과는 대체적으로 긍정적이라고 볼 수 있다. The purpose of the study is to examine consumers’ attitudes toward bus stop advertising comparing other types of outdoor advertising in Beijing, China. The study has drawn several implications on product awareness, purchase intention and decorative effect through an investigation on exposure frequency, exposure time span and consumers’ reflections to advertising media in Beijing. First, mobile phone takes the first place while internet takes the second and TV, the traditional media, takes the third in terms of exposure rate of advertising media in every 24 hours, The rest three traditional media have less exposure rate than new media and bus stop advertising. For outdoor advertising media, bus stop advertising holds the best exposure rate. Second, for response to major advertising media, internet, mobile phone and TV are still the best three to get attention while bus stops and subway stations take the 4th and 5th place, better than other traditional media and outdoor media. For favor degree, answerers commonly like outdoor media better than traditional media and new media. For purchase intention, four media of outdoor advertising has already exceeded the four traditional media. all above 2.5 points, especially, response on awareness and decorative effect is more than 3 points, and female gives higher than male. For answerers of different ages, purchase intention to pillar box advertising is all above 2.5 points, except people aging between 20 and 29. According to this study, bus stop advertising occupies the 4th place of exposure rate, comparing to other media, and the response from consumers is positive. It’s reasonable to say that bus stop advertising in Beijing is effective, as technologies develop with time, bus stop will be integrated with kinds of new technologies such as artificial intelligence, 3d projecting tech, virtual reality and so on, to form a comprehensive platform, and there for makes a total development of outdoor advertising. Hereby, we look forward to that day.